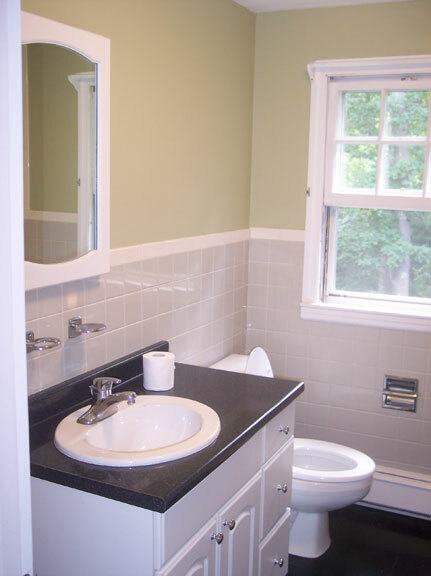 This new Guest Bath “Renovision” reflects a totally new style and boasts an inviting feel. 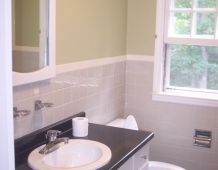 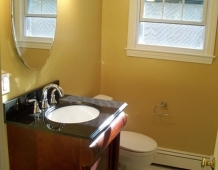 We replaced the vinyl flooring, wall tiles, vanity with acrylic countertop and worn fixtures. 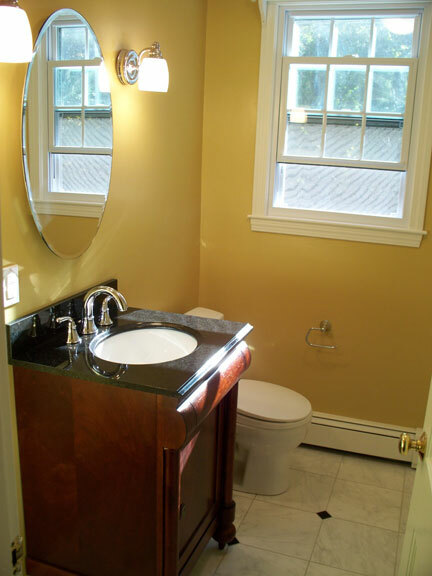 Carerra marble flooring with black granite dots, a free standing all wood vanity with black granite and undermount sink, new fixtures and a warm honey gold tone wall color provided a rich and warm, yet stately look.